I’m having so much fun playing with HDR again! I feel like a whole world has re-opened. 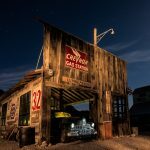 I used to enjoy HDR many years ago, but I have always wanted my final images to have a natural look. Achieving that look was challenging with the software that was available to combine exposures and time consuming to do it by hand in Photoshop. So when camera sensors started getting better and able to handle a higher dynamic range of light, I found that I was able to achieve the look I wanted using a single exposure along with the highlights and shadows sliders in Lightroom. And when the scene had such a huge dynamic range (meaning that the sky was super bright and the foreground was in deep shadow) that even the new sensors couldn’t handle it in one exposure, making HDR a necessity, I found the results weren’t very natural using the software I was using (which was Photomatix). So I pretty much stopped doing it. 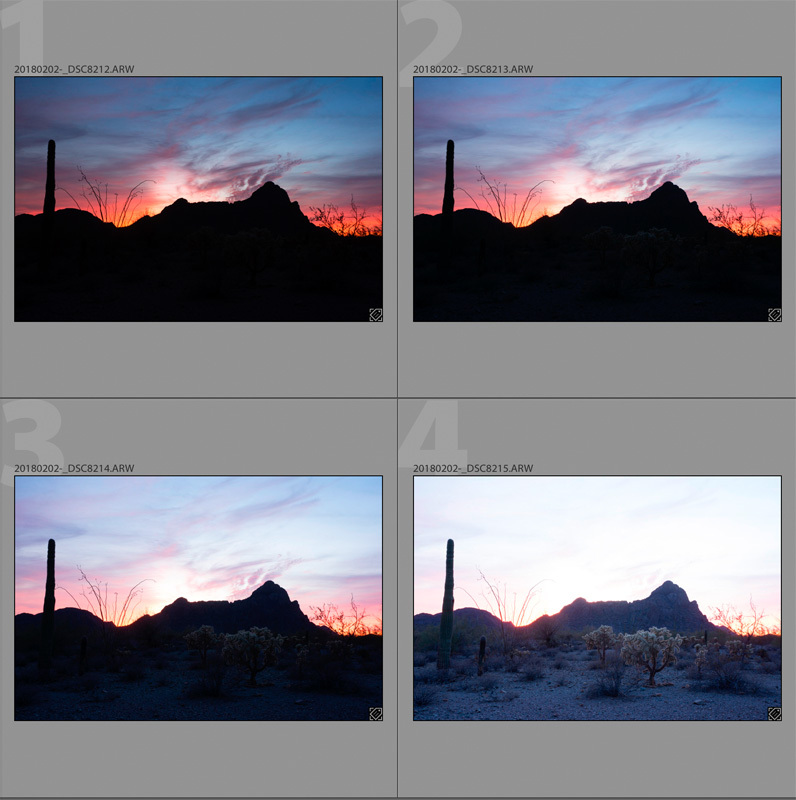 In this example, you can see how the dynamic range of the scene was so great that none of these frames have a good exposure for both the sky and the foreground. The only way to make a good image is to combine exposures. The reason why it’s come back to life for me is Aurora HDR. The adjustment sliders in Aurora are much more useful and realistic than any other software I’ve used. It’s the combination of the adjustment sliders with layers and layer masks that makes Aurora so powerful. Not only do I get the natural look that I want, but I can apply the adjustments selectively to different parts of the image. All within Aurora! I don’t have to go back and forth between Aurora and Photoshop to make it happen. Layers are like sheets of paper stacked on top of each other. The bottom layer has your original image. You can make a copy of that layer, stack it on top, and then apply a filter to it. This way, your editing is non-destructive because you have your original layer underneath. So if you decide you don’t like the adjustment you made, you haven’t ruined the original. You can just delete the top layer and start over. There are lots of different ways to use layers. You can use an empty layer to apply healing and cloning adjustments, you can use adjustment layers to add adjustments like contrast to the layer below, and you can make a copy of your image to put on a new layer for adding effects. You can also use layers to combine two totally different images together. 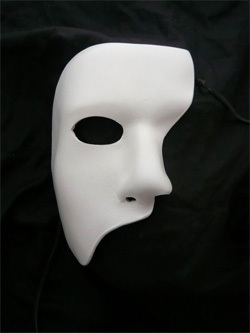 So where you see white is where the mask shows. Where you see black is where you could see through to the face below, right? Layer masks work just like that. When you add a layer mask to a layer, you can paint white and black on the mask to define where you want the effects on that layer to show. Where it is white, you see the current layer. Where it is black, you see through to the layer below. Let’s say you made a copy of your image on a new layer and applied a painterly effect to it. That effect is on the whole frame. If you add a layer mask, you could make it so that the effect is only on part of the image. You do this by painting black where you don’t want the effect (and you would see through the image below). In this example, you can see the original image of a flower on the bottom layer. The top layer contains an adjustment to the brightness/contrast. Using a layer mask, I made that adjustment to brightness/contrast only apply to the flower itself and not the background leaves. This can be a difficult concept to understand, so if you’re a little confused you’re not alone! I think if you watch me doing it in the video below it will all become clear. How is it different in Aurora HDR? Prior to Aurora, if you wanted to use layers to apply adjustments selectively to an HDR image, you had to use Photoshop. So say I wanted to use some adjustments in Photomatix, but I wanted to apply one to the sky and a different one to the foreground. Well, I would have to make the HDR, then in Photomatix apply the filter I want for the sky to the whole image. Then take it into Photoshop and use a layer mask to mask it out on the foreground. Then I would have to make the HDR again, repeating the first step (which takes the longest time so you sit there tapping your fingers while you wait for this to happen again) and then apply the filter for the foreground to the entire image in Photomatix, export it and take that one into Photoshop to use the layer mask again. You can see how this would be annoying and time consuming hopping between the two programs. Now, in Aurora HDR, this process is totally streamlined so you can do it all using only Aurora. 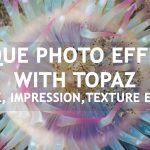 It’s quick and easy AND you get to use adjustment filters that look great. 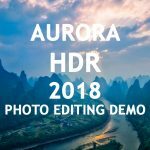 If you haven’t tried this technique out yet, I highly recommend that you pick up a trial version of Aurora HDR and see how easy and fun it is. Watch how I use layers and layer masks in Aurora HDR to apply different adjustments to different parts of my image. If the screen below isn’t large enough, click here to view it larger on YouTube. If you enjoy my video demonstrations, please subscribe to my YouTube Channel! Click here to get more details and purchase Aurora HDR. Don’t forget to use the coupon code MCKINNELL to get an additional $10 off. Love this video it has helped me choose which software to use because you are so straightforward and clear about what you are using and why. The screen you use could be larger so that the tools you use are easier to see. Hi Cynthia, thank you, I’m glad you found the video useful. I recorded it in high-def, but it only fits so big on the blog. If you want to view it larger, after you click the play button, click the YouTube logo in the lower right corner and it will take you to YouTube where you can view it larger. Or, you can click the square in the lower right corner to view it full screen, but that might be too big depending on your monitor. Actually, I’m going to add a link to the post so people know how to view it larger. Thanks! Thanks Mario. I’m really impressed with the variety of results you can achieve from super HDR-y to very natural. It’s a lot of fun 😉 The layers are great for trying out different looks and then just turning the layers on and off. Glad you’re enjoying it too! Many thanks for your lessons Anne. I find quite difficult to use Aurora, in general, and layers in particular since the only think I get after using is to spoil my photo. I will try to follow your steps. It will probably just take a little practice. I find a little goes a long way. Try to back off on all your sliders a little. When you move a slider to where you think it is good, just back off a little bit and you’ll avoid the over-baked look. I hope that helps! I have camera apps on my iPhone XR that take multiple exposures for HDR and combine them. I read one place that it is better to bias toward under exposure because it is less critical if detail is lost in shadows than in highlights. 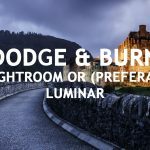 I’m still learning Luminar 3 and holding off purchasing Aurora HDR. 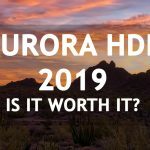 After watching your videos on Aurora HDR, I might be ready to click the link above to obtain it. I’m also interested in focus bracketing and merging. I have a great app on my iPhone that does focus bracketing and have verified that it works. However, I haven’t tried focus stacking yet. I have Affinity Photo and know it will focus stack better than Photoshop, but still there can be a number of issues getting it right. There are other apps that may be better than Affinity Photo, but I don’t want to purchase them. Have you tried focus stacking, and if so, which app works for you? Hi Roger, Here’s the thing about highlights and shadows. In digital photography, if you over expose and “blow out” the highlights, there is no data recorded by the digital sensor. So there’s nothing you can do. Reducing the highlights or reducing the exposure wont make any difference. But as long as there is no spike on the right side of the histogram, you will be able to lower the highlights. On the other hand, when you have very dark shadows, it is easier to lighten them and bring back details from those areas. However, if it is too extreme, the areas you lighten are going to have a ton of noise. 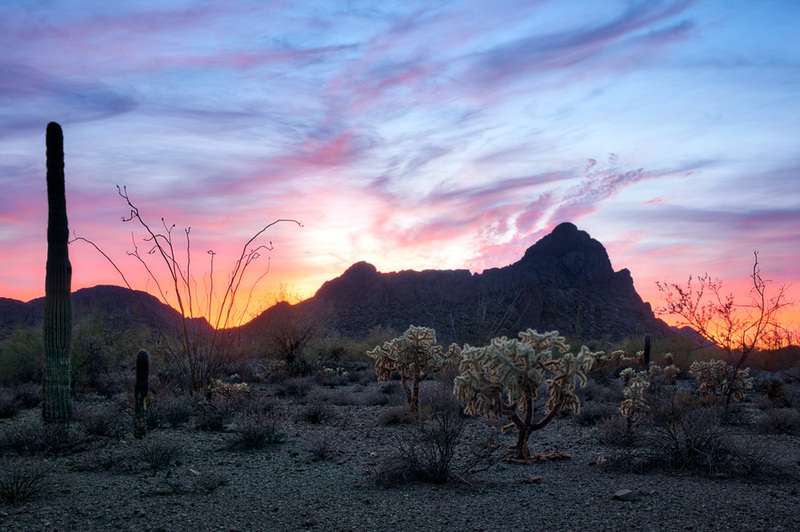 This is the reason we like to do HDR so we can combine exposures and not have to deal with these problems. Back to the digital sensors, there is more data in the highlights than in the shadows. That’s why a lot of people subscribe to the “expose to the right” theory. As long as your histogram doesn’t touch the edge, you’ll have more data to work with. While this is true, I still photograph the same way I did with film – I usually underexpose by a third of a stop because I feel I get better colours and contrast. About focus stacking, I have only done it a few times and I manually combined the images in photoshop. I have a lot more experimenting to do there. Let me know if you find an app that you like! Thanks for your comments, much appreciated.